HONG KONG: Liberty or Liability? It has certainly been an interesting week here in Hong Kong, to say the least. As the world takes notice of tensions rising between Hong Kong and China, I thought I would provide a little snapshot of the history between Hong Kong and China. 1980’s: In anticipation of worldwide concern, in the early 1980’s, China’s then state leader, Deng Xiaoping, coined the phrase “one country, two systems” in an effect to show the world that China was capable of a peaceful and seamless unification of Hong Kong, in the event Britain was to hand Hong Kong over to China. China hoped this one country, two systems theory would calm the fear felt by Hong Kong people. The handover was scheduled to take place in 1997. 1982: Marking the beginning of the negotiations between Britain and China, Xiaoping met with Margaret Thatcher to discuss the handover. Xiaoping wanted Hong Kong to return to China, while Britain felt it was in the best interests of Hong Kong to remain a British colony. Discussions turned heated, when Xiaoping threaten Thatcher, that if Britain did not return Hong Kong to China, he would cut all supplies (food, water) to Hong Kong Island, forcing Britain no choice but to hand Hong Kong over to the communist party. 1984: After 22 rounds of negotiations, the United Kingdom of Great Britain and the People’s Republic of China agreed China would gain sovereignty over Hong Kong effective July 1, 1997. 1985: As part of the negotiations, China had to agree life in Hong Kong would remain unchanged for at least 50 years after July 1, 1997. In order to insure this was honored, Britain and China began drafting what is known today as The Basic Law of Hong Kong. In a way, it’s become Hong Kong’s Constitution. 1990: Taking more than 4 years for both countries to come to agreement on matters related to the well-being of Hong Kong, the Basic Law draft was passed into law on April 4, 1990, but not becoming lawful until July 1, 1997. 1997: On the eve of June 30, 1997, Great Britain formally and publicly handed Hong Kong over to People’s Republic of China. 1997-2013: For nearly 17 years, even critics would agree, China honored The Basic Law and basically left Hong Kong alone. The people of Hong Kong have enjoyed the same freedoms left by the British Colony. Some even felt China might possibly adopt some of the capitalist ways, after seeing the financial gains Hong Kong has provided China over the last 17 years. But unfortunately, recently the future of Hong Kong is beginning to feel a little different. As a result of Beijing’s persistent attempts of pulling Hong Kong people closer to China’s socialist ways, with brian washing curriculums in public schools, and a steady increase on media censorship, tensions between Hong Kong and Beijing are stronger than ever. Beijing, feeling threatened by Hong Kong’s democratic rights, has steadily been moving toward putting an end to some of what was promised, with a movement called “Mainlandization”. The current hot topic is universal suffrage. The Basic Law states Hong Kong citizens will be allowed to vote for the Chief Executive elections of 2017. Beijing has tried to put a spin on the wording in the Basic Law by saying is states the 2017 election “may” not “must” include universal suffrage. Beijing is also stating even if Hong Kong citizens are allowed to vote in the 2017 Chief Executive election, Beijing would control the selection of candidates. Qiao Xiaoyang, Chairman of the People’s Congress Law Committee, stated the Chief Executive candidates are required to love both China and Hong Kong and not to confront the central government in Beijing, effectively excluding candidates of any opposition. So, what is Hong Kong doing about this? Well, a lot actually. Benny Tai Yiu-ting, an associate professor of law at the University of Hong Kong, initiated a movement called Occupy Central. Pulling inspiration from some of the world’s greatest activist like Martin Luther King and Gandhi, Tai Yiu-ting has proposed a nonviolent (with love and peace) occupation protest for universal suffrage (right to vote) that would take place in Central (Hong Kong’s downtown financial district) this July, 2014. Occupy Central organizers vow to bring the city’s commercial hub to a standstill if the government fails to come up with a plan that provides genuine democracy for the 2017 Chief Executive election. Beijing, not used to receiving threats from its people, are outraged. They are stating this occupancy will not be tolerated and protestors better think twice before participating. Further stating the occupation would severely threaten Hong Kong’s financial stability. A few days ago, Beijing released their first ever official statement, since the handover in 1997, regarding their governing rights over Hong Kong. This coming on the cuff’s of record-breaking attendance of the Hong Kong’s vigil of Tiananmen Square Massacre, Beijing clearly is concerned of a large turnout for the Occupy Central protest. Despite Beijing attempt, their continued actions are only encouraging more involvement with Occupy Central. 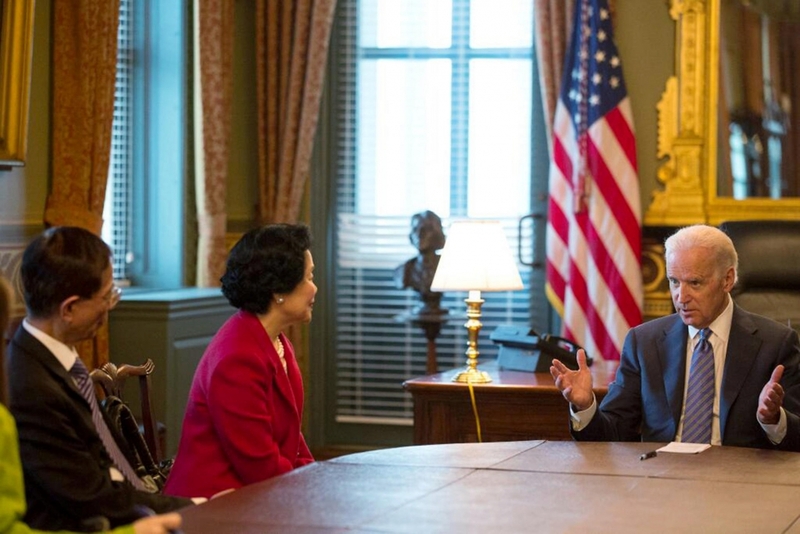 Earlier this month, Martin Lee and Anson Chan, members of Occupy Central, visited the United Stated and Canada and met with Vice-President Joe Biden, along with the House Minority Leader, Nancy Pelosi. 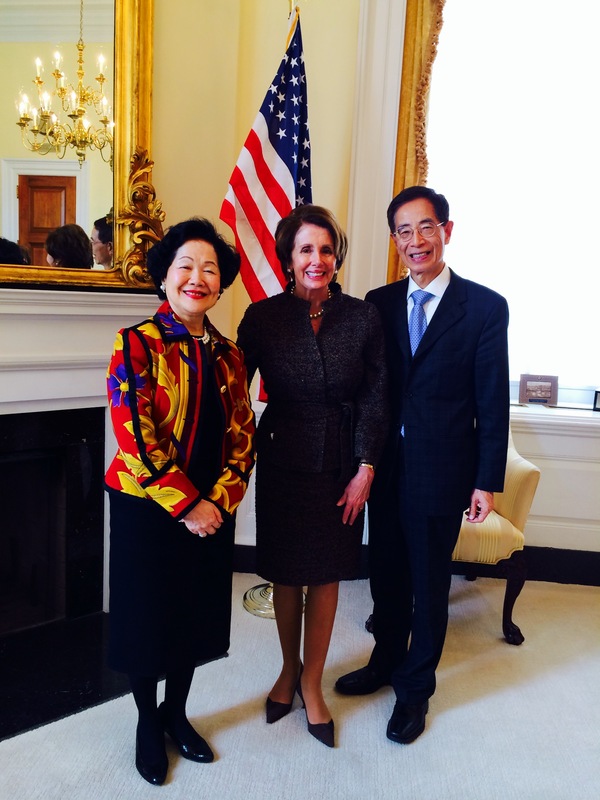 They also spoked at the briefing with the National Endorsement for Democracy and appeared as panelist at the Congressional Executive Commission on China’s Roundtable on Hong Kong democracy. Winning strong support from the United States and Canada. Feeling threatened by Lee’s and Chan’s actions, going as fare as calling them “troublemakers”, Beijing is extremely nervous that foreign forces may interfere with how they manage their internal affairs with Hong Kong. In preparation of the occupation of Central, many Hong Kong offices have already secured temporary office space outside of Central to insure easy access for their employees. The court systems also have a plan to account for the likelihood of increased civil trails, as a result of increased arrests. What is China doing? Will we see military tanks roll across the boarders, making their way toward Hong Kong Island? No one knows. What we do know is Beijing needs to realize no one benefits more, financially, for keeping Hong Kong a capitalist city than Beijing. And capitalism can’t exist without real democracy.